When will be Lovers in Bloom next episode air date? 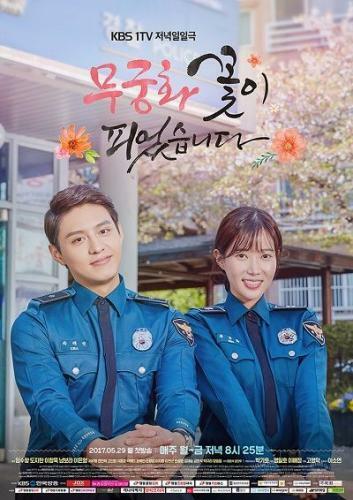 Is Lovers in Bloom renewed or cancelled? Where to countdown Lovers in Bloom air dates? Is Lovers in Bloom worth watching? Former boxer Moo Goong Hwa is forced to raise up her daughter alone when her husband dies, while working as a police officer. Elite police officer Cha Tae Jin is graduated from the Police University and is full of justice. Lovers in Bloom next episode air date provides TVMaze for you. EpisoDate.com is your TV show guide to Countdown Lovers in Bloom Episode Air Dates and to stay in touch with Lovers in Bloom next episode Air Date and your others favorite TV Shows. Add the shows you like to a "Watchlist" and let the site take it from there.